Support for Matching pair and Fancy Color Diamond. Automatic Update of inventory prices based on rapaport. 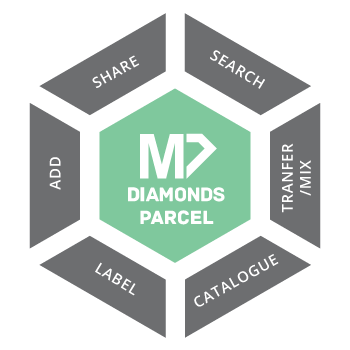 Share diamond details with customer through email / mobile apps. Automatically publish inventory on Rapnet, Idex, Polygon. Create professional looking labels, memos, invoices. Detailed Diamond reports for better business insights.